Reg Murphy, Potts Point Where Are We? We encourage you to dress up for this one! There will be prizes! 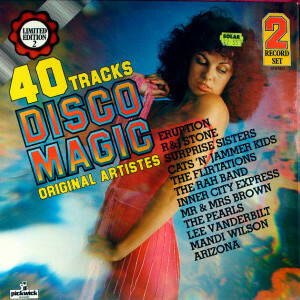 Everyone knows dancing was better when there were bell bottom pants, light up floors and disco, sweet disco. Lucky for us, ‘The Hustle,’ the iconic dance of the 70s is still very much alive and well. Learn to dance to both disco classics and modern pop (which is pretty much reincarnated disco music) alike. Be prepared for some dorky disco dance moves and a lot of strutting! We’ll be starting with a classic called the bump, give you a few killer solo moves and then move into how to dance hustle with a partner. Wear your platforms by all means but be prepared for some spins! Caitlin Hosking has been dancing since she could walk and has been teaching social partner dancing for years. She’s recently moved back to Syndey after living in Chicago, working in one of the best dance studios in the US and competing professionally – but mostly she just likes to get down dancing to 90s RnB slow jams in her spare time. The featured image is borrowed and edited, with thanks, from Kevin Dooley under a Creative Commons licence.